And we’ve got the government to thank for leading us down the wrong road for so long. 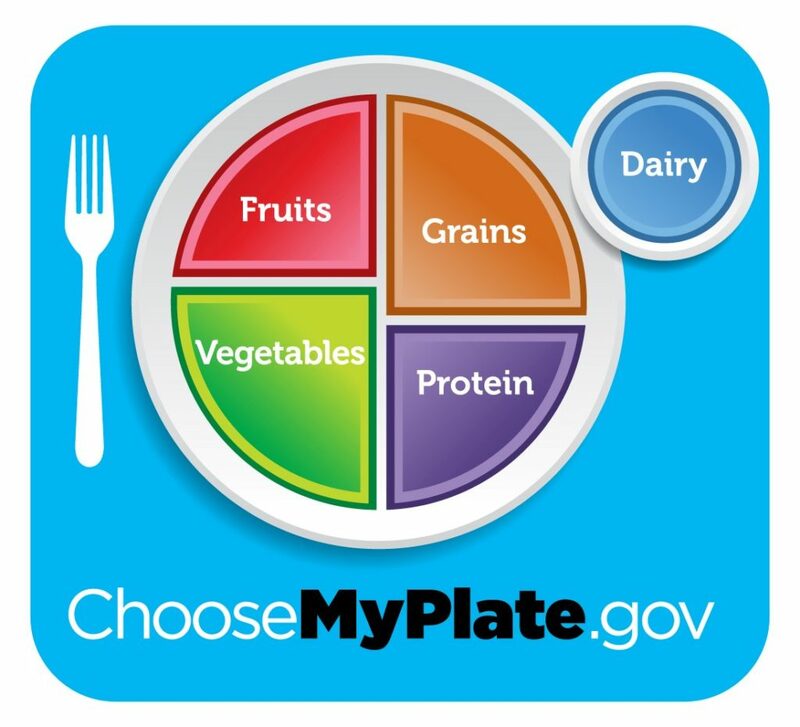 In fact, the Department of Health and Human Services (HHS) and the USDA has jointly published updated dietary guidelines for Americans like clockwork every five years since 1980. Sure, it’s great to keep this report up-to-date, but it’s quite difficult to adopt lifelong health habits (the key to health and weight maintenance) when these guidelines are constantly in flux. You’re likely very familiar with the guidelines they pushed in the 1990s. 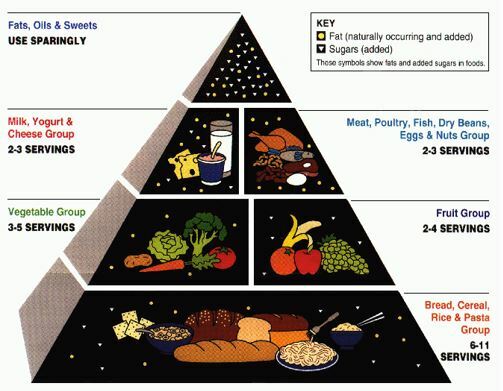 They told us what to eat in a series of ever-changing food pyramids, which have since become ancient history (like the Egyptian pyramids themselves). Boy, that little plate sure is cute and colorful! But it doesn’t even mention healthy essential fats, which as you know, provide many essential nutrients needed for optimal health. I’ll give you all the latest details in my upcoming June 2018 Insiders’ Cures newsletter.) And that negligence continues to prove disastrous to the health of Americans, as I’ll touch on more in a moment. It’s bad enough the government keeps changing its recommendations. Worse yet, we now know their advice was all wrong (or mostly wrong), all along. Though, in fairness, some specific recommendations in recent years have started to reflect the real science. And the government has even admitted its mistakes in a few cases. For example, now it’s good to eat eggs again! My grandparents adhered to this basic dieting principle 50 years ago. In the 1970s, some simple-minded nutritional researchers began to tell us fats are “bad” because they have more calories than carbs. And that’s true: Fats have more than twice the calories as carbs. So, how has that advice worked out? According to the new data I mentioned earlier from the USDA, daily calories consumed per person in the U.S. decreased by 2 percent between the year 2000 and 2010. But grains were the primary source of daily calorie intake. Plant-based fats and oils — such as cooking oils, margarine, and shortening — were the second-highest source of calories. And fish, meat, and poultry were the third-highest source. From my point of view (and that of basic human biology and history), that list is completely upside down. People should get more calories from animal-based foods and fewer calories from grains and vegetable oils. Furthermore, I noticed an increase in calories from fish and poultry… and a decrease in red meat. The science shows there’s no real difference in the overall nutritional quality and health benefits between fish/poultry and red meat. The real danger comes from eating processed meats, as I reported in a breakthrough article last summer. Overall, it seems the ill-advised government dietary advice lives on. Even after the government itself admitted (for the most part) the error of its ways. Eat a balanced diet with plenty of fish, meat, poultry, and seafood. Aim to get at least five portions of fruits and vegetables every day. And opt for organic produce (whenever possible) to avoid GMO and pesticide exposure. Avoid sugar and refined grains. If you must eat grains, choose whole grains. You should follow a Mediterranean-style diet, which incorporates healthy fats like olive oil, nuts, and avocados. Be sure to avoid processed oils — like vegetable oil and margarine. up to two drinks per day for men under 65. And enjoy three to four cups of coffee a day (without the sugar or flavored creamers). Last but not least, keep reading the Daily Dispatch and Insiders’ Cures newsletter for health news you can trust. And if you’re not yet a subscriber — no problem. You can get started today by clicking here.